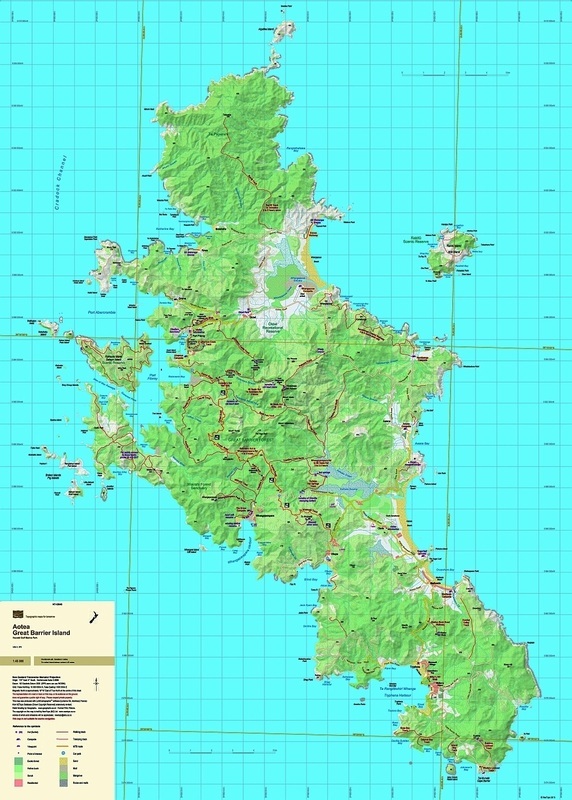 This map portrays the walking track network on Great Barrier Island (Aotea) on a fully detailed topographic background. 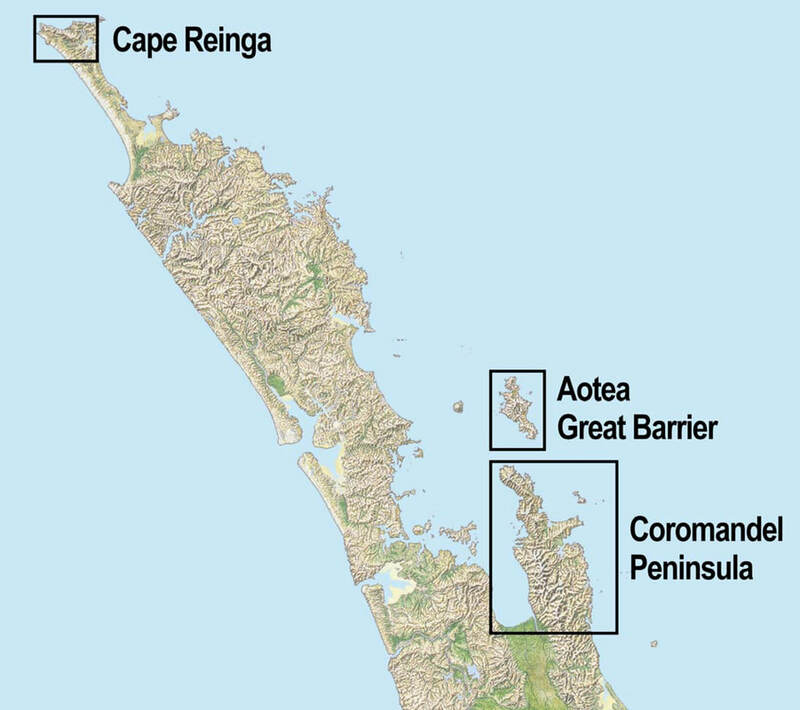 The few roads and settlements are also shown. The combination of contours and relief shading, gives a realistic land form. Some tracks may be temporarily closed because of storm damage. Warrens Track, Bridle Track, Kaiaraara Track to Hirakimatā, and Coopers Castle track are all open now. The DOC visitor centre is now at Okiwi. 20m contours. 1km grid. 15 minute geographic graticule. Printed on 113gsm Sumo K Matt paper.